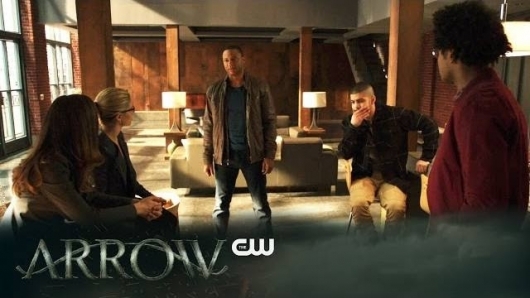 Last week on Arrow, Oliver (Stephen Amell) was brutally tortured both physically and psychologically at the hand of Adrian Chase aka Prometheus (Josh Segarra). Chase was and is clearly insane, but he was able to break Oliver in ways that the other villains have not. He made Oliver admit that he enjoyed killing. That admission made Oliver put the blame of everything on himself (more than he usually does), and he returned to the lair to tell them it’s over. He quit.